Fake news, defamation, and hoaxes point to the urgent need for social media literacy training in Indonesia. Although only a quarter of its population have access to the internet at home, Indonesia is one of the top five social media markets in the world. A recent report entitled “Digital in 2017 Growth Overview” states that Indonesia is the fastest-growing country with regards to the number of internet users today compared to 2016. The country is nearly three times above the global average, with 51 percent growth annually. Indonesia also comes in fourth in the highest number of Facebook users, only behind Brazil, India, and the United States. There are obviously different reasons for the popularity of social media among Indonesians. But the most important factor is the accessibility of mobile internet devices — mostly smartphones, which have doubled in usage over the recent years — coupled with affordable data plans. These conditions have allowed everyone to freely access, retrieve, and share any content available on the internet. This is in accord with the report, which finds that Indonesia boasts the third-highest growth in mobile social media use worldwide. 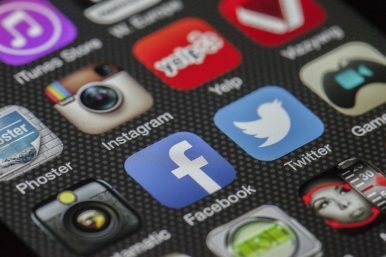 Aside from the obvious benefits that come with being connected online, however, social media has brought a number of negative consequences to the Indonesian society — in particular, the growing number of social media abuses and ethical violations. Public figures have also increasingly become perpetrators of ethical violations on social media platforms. The most recent and prominent examples involved Indonesian comedians Uus and Ernest Prakasa; the two individuals recently came under intense censure after making false accusations against Islamic personalities on their social media accounts. Indeed, ethical violations on social media platforms have recently come under increased scrutiny in Indonesia as such instances are now becoming more prevalent among social media users. Ethical violations refers to a variety of actions, including spreading false information, defamation, bullying, gambling, uploading photos of deceased individuals, cursing, inciting hatred, online shopping scams, and more. In recent months, hoaxes and fake news in particular have become a massive issue in Indonesia, coinciding with the hotly contested Jakarta gubernatorial election. In fact, the sharing of fake news has inflamed ethnic and political tensions among Indonesian social media users. It can no longer be denied that the growing negative phenomenon requires a concrete and instantaneous response from the government. In that respect, it’s crucial to initiate and socialize social media literacy so that everyone who has access to social media can use it wisely and appropriately. Today, unfortunately, the government of Indonesia does not have a standard curriculum on social media literacy. Existing efforts to promote social media literacy in Indonesia are still limited to unstructured movements carried out through seminars, roadshows, and social media campaigns. Social media literacy cannot be sufficiently delivered only in a two-hour seminar or in a week-long campaign. As many have suggested, the most effective way to realize effective social media literacy education is to incorporate it into the national education curriculum. Such step would enable citizens, even from a very young age, to become fully literate in the digital age. The U.K., Germany, Canada, France, and Australia are examples of countries that have integrated social media literacy into their national curricula. The above countries’ experiences could be a basis for reflection as the Indonesian government develops and implements social media literacy education based on its own norms and values. Even though a number of social media literacy programs have been initiated by several entities in the country, such efforts need to be accompanied by concrete measures from the government, including the incorporation of social media literacy into the national curriculum. Muhammad Zulfikar Rakhmat is a Ph.D. researcher at the University of Manchester.